(above) Robert Max, author of “The Long March Home,” will be the featured speaker at a May 1, 2019 Holocaust memorial Day commemoration at Kean University. The annual Yom HaShoah (Holocaust Memorial Day) Commemoration at Kean University will take place on Wednesday, May 1, 2019 at 7:00 p.m. at the Wilkins Theatre for the Performing Arts (1000 Morris Avenue in Union, NJ). This year’s featured speaker will be World War II veteran Robert Max. 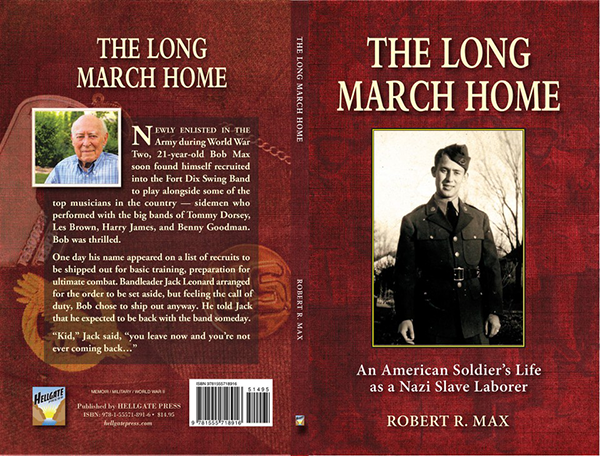 In 1942, at age 20, Robert “Bob” Max left a comfortable college life at Ohio University to enlist in the U.S. Army. He was one of many American-Jewish soldiers who signed up to help defeat the Nazis. Bob fought in three major battle campaigns across Europe before he was captured during the climactic Battle of the Bulge and forced into slave labor. His recent book, “The Long March Home,” tells the story of his ordeal as a slave laborer. This event is free and open to the public, and is sponsored by the Jewish Federation of Greater MetroWest NJ and Kean University’s Holocaust Resource Center. Educators who attend will receive professional development credits, and sign language interpretation will be provided. For more information and to register, visit jfedgmw.org/kean.